These grow slowly, under weak lighting, in soft, acid water. Multiplication takes place through a division of the rhizome, which must never be covered with soil. 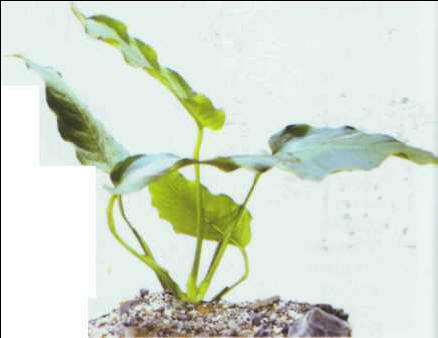 There are two varieties: the smallest, the dwarf anubias, is ideal for foregrounds; the biggest, Barter's anubias, has spear-like leaves and can be placed a little further back. Size: 30 cm. The Congo anubias can exceed 35 cm in height and is therefore only suitable for large aquariums. 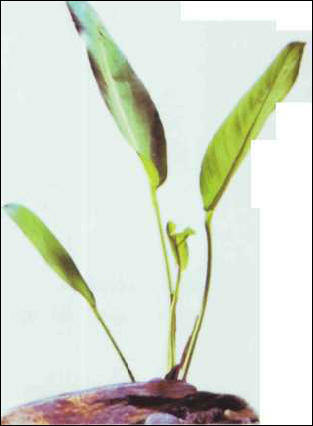 The shape of the leaves can vary considerably but, broadly speaking, they are oval or lanceolate. Size: 30-40 cm. ВОДЯНКА , скопление жидкости в полостях тела, подкожной клетчатке и других тканях при болезнях сердца, почек, токсикозе беременных и др. Как поздний токсикоз беременных характеризуется появлением отеков на ногах, в области наружных половых органов и живота.